Siddhartha Mukherjee —The Emperor of All Maladies. Associations do not necessarily imply causality. In some sense, all science is associations. Associations predict causality. Hypotheses generate observational studies, not the other way around. In fact, association can be strong evidence for causation and frequently provide support for, if not absolute proof, of the idea to be tested. A correct statement is that association does not necessarily imply causation. In some sense, all science is observation and association. Even thermodynamics, that most mathematical and absolute of sciences, rests on observation. As soon as somebody observes two systems in thermal equilibrium with a third but not with each other (zeroth law), the jig is up. When somebody builds a perpetual motion machine, that’s it. It’s all over. Biological mechanisms, or perhaps any scientific theory, are never proved. By analogy with a court of law, you cannot be found innocent, only not guilty. That is why excluding a theory is stronger than showing consistency. The grand epidemiological study of macronutrient intake vs diabetes and obesity shows that increasing carbohydrate is associated with increased calories even under conditions where fruits and vegetables also went up and fat, if anything went down. It is an observational study but it is strong because it gives support to a lack of causal effect of increased carbohydrate and decreased fat on outcome. The failure of total or saturated fat to have any benefit is the kicker here. It is now clear that prospective experiments have, in the past, and will continue to show, the same negative outcome. Of course, in a court of law, if you are found not guilty of child abuse, people may still not let you move into their neighborhood. It is that saturated fat should never have been indicted in the first place. An association will tell you about causality 1) if the association is strong and 2) if there is a plausible underlying mechanism and 3) if there is no more plausible explanation — for example, countries with a lot of TV sets have modern life styles that may predispose to cardiovascular disease; TV does not cause CVD. Re-inventing the wheel. Bradford Hill and the history of epidemiology. At any moment in history our background knowledge — and accepted methodology — may be limited. Some problems seem to have simple solutions. But simple ideas are not always accepted. The concept of the random controlled trial (RCT), obvious to us now, was hard won and, proving that any particular environmental factor — diet, smoking, pollution or toxic chemicals was the cause of a disease and that, by reducing that factor, the disease could be prevented, turned out to be a very hard sell, especially to physicians whose view of disease may have been strongly colored by the idea of an infective agent. The Rise and Fall of Modern Medicine describes Bradford Hill’s two demonstrations that streptomycin in combination with PAS (para-aminosalicylic acid) could cure tuberculosis and that tobacco causes lung cancer as one of the Ten Definitive Moments in the history of modern medicine (others shown in the textbox). Hill was Professor of Medical Statistics at the London School of Hygiene and Tropical Medicine but was not formally trained in statistics and, like many of us, thought of proper statistics as common sense. An early near fatal case of tuberculosis also prevented formal medical education. His first monumental accomplishment was, ironically, to demonstrate how tuberculosis could be cured with the combination of streptomycin and PAS. In 1941, Hill and co-worker Richard Doll undertook a systematic investigation of the risk factors for lung cancer. His eventual success was accompanied by a description of the principles that allow you to say when association can be taken as causation. Ten Definitive Moments from Rise and Fall of Modern Medicine. Wiki says: “in 1965, built upon the work of Hume and Popper, Hill suggested several aspects of causality in medicine and biology…” but his approach was not formal — he never referred to his principles as criteria — he recognized them as common sense behavior and his 1965 presentation to the Royal Society of Medicine, is a remarkably sober, intelligent document. Although described as an example of an article that, as here, has been read more often in quotations and paraphrases, it is worth reading the original even today. Note: “Austin Bradford Hill’s surname was Hill and he always used the name Hill, AB in publications. However, he is often referred to as Bradford Hill. To add to the confusion, his friends called him Tony.” (This comment is from Wikipedia, not Woody Allen). Doubts about an odds ratio of two or less. That’s where you really have to wonder about causality. The progression of epidemiologic studies that tell you red meat, HFCS, etc. will cause diabetes, prostatic cancer, or whatever, these rarely hit an odds ratio of 2. While the published studies may contain disclaimers of the type in Hill’s paper, the PR department of the university where the work is done, and hence the public media, show no such hesitation and will quickly attribute causality to the study as if the odds ratio were 10 instead of 1.2. 2. Consistency: Hill listed the repetition of the results in other studies under different circumstances as a criterion for considering how much an association implied causality. Not mentioned but of great importance, is that this test cannot be made independent of the first criterion. Consistently weak associations do not generally add up to a strong association. If there is a single practice in modern medicine that is completely out of whack with respect to careful consideration of causality, it is the meta-analysis where studies with no strength at all are averaged so as to create a conclusion that is stronger than any of its components. 3. Specificity. Hill was circumspect on this point, recognizing that we should have an open mind on what causes what. On specificity of cancer and cigarettes, Hill noted that the two sites in which he showed a cause and effect relationship were the lungs and the nose. 5. Biological gradient: the association should show a dose response curve. In the case of cigarettes, the death rate from cancer of the lung increases linearly with the number of cigarettes smoked. A subset of the first principle, that the association should be strong, is that the dose-response curve should have a meaningful slope and, I would add, the numbers should be big. 8. Experiment: It was another age. It is hard to believe that it was in my lifetime. “Occasionally it is possible to appeal to experimental, or semi-experimental, evidence. For example, because of an observed association some preventive action is taken. Does it in fact prevent?” The inventor of the random controlled trial would be amazed how many of these are done, how many fail to prevent. And, most of all, he would have been astounded that it doesn’t seem to matter. However, the progression of failures, from Framingham to the Women’s Health Initiative, the lack of association between low fat, low saturated fat and cardiovascular disease, is strong evidence for the absence of causation. “Here then are nine different viewpoints from all of which we should study association before we cry causation. What I do not believe — and this has been suggested — is that we can usefully lay down some hard-and-fast rules of evidence that must be obeyed before we accept cause and effect. None of my nine viewpoints can bring indisputable evidence for or against the cause-and-effect hypothesis and none can be required as a sine qua non. What they can do, with greater or less strength, is to help us to make up our minds on the fundamental question – is there any other way of explaining the set of facts before us, is there any other answer equally, or more, likely than cause and effect?” This may be the first critique of the still-to-be-invented Evidence-based Medicine. The decision to say that an observational study implies causation is equivalent to an assertion that the results are meaningful, that it is not a random association at all, that it is scientifically sound. 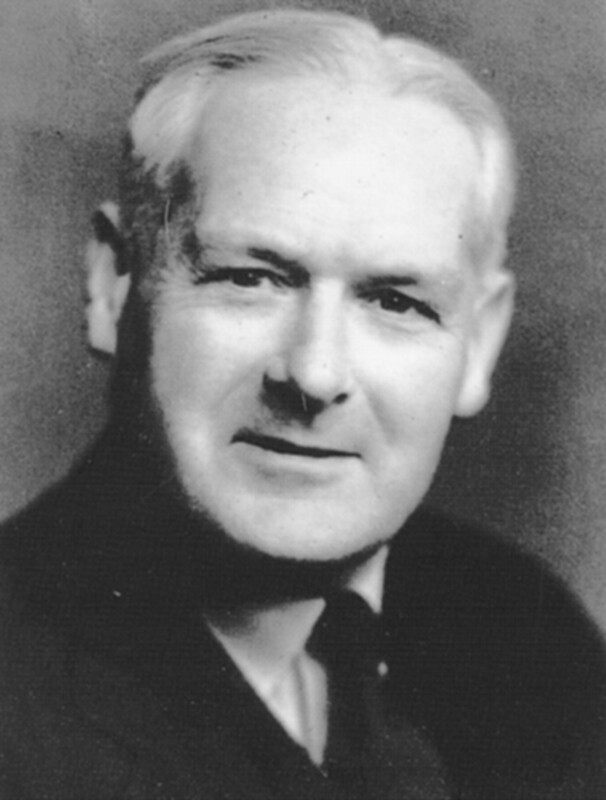 Critics of epidemiological studies have relied on their own perceptions and appeal to common sense and when I started this blogpost, I was one of them, and I had not appreciated the importance of Bradford Hill’s principles. The Emperor of All Maladies described Hill’s strategies for dealing with association and causation “which have remained in use by epidemiologists to date.” But have they? The principles are in the texts. Epidemiology, Biostatistics, and Preventive Medicine has a chapter called “The study of causation in Epidemiologic Investigation and Research” from which the dose-response curve was modified. Are these principles being followed? Previous posts in this blog and others have have voiced criticisms of epidemiology as it’s currently practiced in nutrition but we were lacking a meaningful reference point. Looking back now, what we see is a large number of research groups doing epidemiology in violation of most of Hill’s criteria. The red meat scare of 2011 was Pan, et al and I described in a previous post, the remarkable blog from Harvard . Their blog explained that the paper was unnecessarily scary because it had described things in terms of “relative risks, comparing death rates in the group eating the least meat with those eating the most. The absolute risks… sometimes help tell the story a bit more clearly. These numbers are somewhat less scary.” I felt it was appropriate to ask “Why does Dr. Pan not want to tell the story as clearly as possible? Isn’t that what you’re supposed to do in science? Why would you want to make it scary?” It was, of course, a rhetorical question. Looking at Pan, et al. in light of Bradford Hill, we can examine some of their data. Figure 2 from their paper shows the risk of diabetes as a function of red meat in the diet. The variable reported is the hazard ratio which can be considered roughly the same as the odds ratio, that is, relative odds of getting diabetes. I have indicated, in pink, those values that are not statistically significant and I grayed out the confidence interval to make it easy to see that these do not even hit the level of 2 that Bradford Hill saw as some kind of cut-off. The hazard ratios for processed meat are somewhat higher but still less than 2. This is weak data and violates the first and most important of Hill’s criteria. As you go from quartile 2 to 3, there is an increase in risk, but at Q4, the risk goes down and then back up at Q5, in distinction to principle 5 which suggests the importance of dose-response curves. But, stepping back and asking what the whole idea is, asking why you would think that meat has a major — and isolatable role separate from everything else — in a disease of carbohydrate intolerance, you see that this is not rational, this is not science. And Pan is not making random observations. This is a test of the hypothesis that red meat causes diabetes. Most of us would say that it didn’t make any sense to test such a hypothesis but the results do not support the hypothesis. Science is a human activity and what we don’t like about philosophy of science is that it is about the structure and formalism of science rather than what scientists really do and so there aren’t even any real definitions. One description that I like, from a colleague at the NIH: “What you do in science, is you make a hypothesis and then you try to shoot yourself down.” One of the more interesting sidelights on the work of Hill and Doll, as described in Emperor, was that during breaks from the taxing work of analyzing the questionnaires that provided the background on smoking, Doll himself would step out for a smoke. Doll believed that cigarettes were unlikely to be a cause — he favored tar from paved highways as the causative agent — but as the data came in, “in the middle of the survey, sufficiently alarmed, he gave up smoking.” In science, you try to shoot yourself down and, in the end, you go with the data. Richard–A very nice summary of the messy business of science. As I tell my Greek wife, “You gave us the two best things we have—empiric science and Democracy and then you went on vacation!” Of course the Greeks only gave us the roots of empirical science. It was up to John Locke and others to later refine the concept. The other day we had dinner with Spyros Makridakis, Emeritus Professor of Decision Sciences at ENSEAD. He is one of the world’s foremost economic forecasters yet after making his living doing this for many years, he admits that nobody can predict the future—we can only make observations and collect data. He and his friend Nassim Taleb (The Black Swan) have spent some time showing how many medical studies misuse statistics. Yes, science is messy human endeavor but it’s the only thing that separates us from the monkeys swinging from the trees so I guess we need to keep at it. Other wisdom of the ancients is a Jewish saying that after the destruction of the second temple, the gift of prophecy was given to fools, which means that you don’t want to be too optimistic about politics. The Blackswan looks interesting. It would be good to know if Spyros has a way to stop the downward spiral of bad science…and don’t sell the monkeys short. Richard—I love interacting with Nassim and Spyros because they are extremely bright and have focused their attention on all the non-sense that goes on in medical research. Most of the “expert panels” consist of pimps who line their pockets with money from drug companies. If you haven’t read Nassim’s books “The Black Swan” and “Anti-fragile”, I think you will really enjoy them. Nassim is a bit eccentric but he is extremely bright and insightful. The books are a little painful to read—a lot of deep thinking. Both Nassim and Spyros are true skeptics and I suspect that you might also be a member of this club. We are spending a few weeks at our second home in Greece. Have you ever been to Greece? The unemployment rate is 26% but they seem to be getting by. I didn’t say that we are any better than the monkeys. In some ways they my have a leg up on the human race. After all, science gave us nuclear weapons, GMO food and weapons of mass destruction. When the ancient Greeks fought, it was man-to-man, eyeball-to-eyeball. You had to look a man in the eye before you killed him. None of this drone stuff—a kid sitting in a room in Arizona playing a video game of death and then going home to his wife and kids. I’ll take the Iliad any day. I am familiar with Ioannidis’s stuff and don’t know why we can’t make more progress. On monkeys, I am generally in agreement although I am not sure that the Trojan war was the greatest contribution of Ancient Hellas. Coherentist epistemology is an appealing position, but, at least in a certain light, it’s not exactly welcome news for the image of science as ascertaining the truth full stop, or as a body of knowledge that is obviously progressing in any meaningful sense. (This must be why Kuhn remains controversial). It also raises certain normative issues. On the one hand, skeptical scientists are instrumentally valuable for science insofar as their work tests the coherence of the current consensus. On the other hand, the coherentist view could suggest that in many cases such skepticism is unwarranted. This is an issue of epistemic authority-which set, or whose set, of beliefs are supposed to count?-and it should be particularly concerning for those who wish to challenge the coherence of the current nutritional consensus. Actually, just the reverse is true. This expresses clearly something I’ve been struggling towards (with your help). You’ve only got to read the story of John Snow to learn that epidemiology isn’t junk science and can be done properly; however, powerful opposition to Snow’s hypothesis and scepticism about his methods brought about their perfection and vindication. That scepticism is either missing today (in the mainstream) or unthinkingly applied by the alternative media. Your point 2) – meta-studies can only inflate the p value of combined studies. They ought if anything to clarify the actual strength of association. A weak association with an absolute p value is still a weak association, albeit one better confirmed as such, so I have no real objection to meta-analysis as long as this is understood. You rarely get anything out of a meta-analysis that you wouldn’t get better by common sense consideration of the individual trials. True – I guess they are just the Reader’s Digest version for the busy or the stubborn. “This may be the first critique of the still-to-be-invented Evidence-based Medicine”. Tony would have been unhappy at a lot of the stuff that’s going on. I agree with the article, and it highlights the rigidity and lack of thought behind some of the “correlation is not causation” statements. But the problem is not with correlation, which is useful, but with the word causation, which heads into the realm of truth, obviously a difficult concept, and what it means to be true. What I wonder about, in terms of the article, is the relationship to Bayes Theory, both in terms of correlation and causation. Bayes is the ultimate of evidence based thinking, and it makes you evaluate not only the evidence but your faith in that evidence, meaning the significance or usefulness of that evidence. In cancer, each trial increased one’s faith in the likelihood of causation. In diet-heart, Bayes theory doesn’t apply because there was already complete faith in causative nature of fat. Thank you for this eye-opening post. I too had been drawn towards ‘association does not imply causation’, and taking ORs of ‘1.24’ seriously. The insight that even a statistically robust OR of 1.24 quite literally rules out causation, instead of being weak proof of it, is very valuable. A relatively recent counter example are Figures 3 and 4 in http://onlinelibrary.wiley.com/doi/10.1111/j.1365-2796.2006.01643.x/full which shows OR’s of > 4. It’s interesting how little impact this result has had. Please keep your wonderful articles coming. Thanks. I look forward to it. Richard, did you attend or follow the American Diabetic Association’s 2013 Scientific Sessions in Chicago this week? Several reported results of low-carb nutritional studies, including a study published Monday in JAMA regarding the long-term effects of weight loss on Type-2 diabetes did not bring major heart benefit – which was reported by CBS today. I get notices from them and I saw some abstracts but the ADA has long since given up on science. Queen Lab Rat Update: Any increase in a day’s total carbs >30/day (~20 net of fiber) results in increased blood glucose the following day. Best results are meals loaded with green veggies, interspersed with some red/orange veggies for color, and 4-6 oz of fish or poultry. Discovered a whole avocado has 34% more potassium than a 9″ banana, but a kale+avocado salad alone has 94% more potassium. The QUANTITY & QUALITY of food I eat now is almost decadent! Admirable slogging but I doubt that the sum of ADA and EASD is greater than the parts. On your son and friend, we may do best on our own. So very hard to know what to believe any more. I am scientifically (PhD) and medically (MD) trained, which should give one an ‘edge’ in terms of understanding nutritional epidemiology and randomized trials. But I find myself in a state of befuddlement. I decided to self-experiment. I went on an Atkins diet and lost 35 lbs. Inflammatory markers (hsCRP), triglycerides, blood pressure, HDL, insulin – all markedly improved, as my tendency towards metabolic syndrome remitted. So far, so good. However, my homocysteine level went up (17.5 umol/L) and my total and LDL cholesterol (and apoB) literally went through the roof. This was subsequently verified by VAP testing. The levels were extraordinarily high, worrisomely so (same range as heterozygous familial hypercholesterolemia patients, who incur early vascular events at a pronounced rate). So perhaps saturated fat and dietary cholesterol are not good for everyone. I then decided to consume a vegan diet, on which I’ve lost a further 15 pounds. It is still carbohydrate-restricted but now the fat content is largely LA-rich omega-6. I am worried a bit about that, but I think the science there is still extremely undeveloped. The good news is that my homocysteine, total and LDL cholesterol levels have remarkably plummeted. This has actually affected the way I counsel my patients in my practice. I have seen a number of cases with plaque progression and sky-high lipids after beginning on LCHF diets (low carb, high fat). A. Keys may have been onto something after all. I just don’t know. Should I be concerned about the LA-rich omega-6’s? According to a nutritional analysis, I am getting about 50 g of linoleic acid per day in my diet (24 hour intake). Large sources include tahini (crushed sesame seeds), avocados, brazil nuts. I feel the jury is still out on LA/omega-6 FA’s. By the way, I would like to state that it is still possible to be carbohydrate-restricted on a vegan diet. One does not need to consume large quantities of SFA and dietary cholesterol, if one does not feel the need to. I would very much appreciate Prof. Feinman’s remarks on the above. I find him insightful. Thanks for the compliment although I’m afraid my insight here may be, like Socrates, in admitting my own ignorance. I don’t think that Keys was on to anything in that there was much science there. The bottom line is that what we know is much less than what we don’t know but one of the big things we do know is that the glucose-insulin axis is a major controlling element. It controls the disposition of fatty acids so, although that makes them somewhat passive, it doesn’t say that we know what each do for each individual. So your story indicates what is the “default” position, that therapeutically, carbohydrate restriction is best and can be done if you’re a vegetarian. SFA was never the key — it was rather that there was no convincing evidence at all to reduce them on average. My own feeling is that the data is so overwhelmingly in favor of replacing carbohydrate, any carbohydrate with fat, any fat. Given that, we may get too much n-6 FAs although I would admit this comes from opinion of experts that I trust. The obsession with bacon is, in my mind, a reaction against the anti-SFA campaign which is why you want to avoid a negative approach. So, your principal of following your own responses has the most insight. Richard, thanks for your response and rebuttal. I am concerned that a whole group of people going on Atkins will experience substantial increases in serum cholesterol/LDL cholesterol/apoB (whatever you want to call it), and thus – perhaps in the long-term – experience atherosclerotic cardiovascular events. I have one patient who had an MI three weeks after going on to Atkins – of course that is only anecdotal, and the timing could be sheer coincidence. I am fortunate in that I get to follow patients with high-resolution carotid ultrasound. I have seen a lot of plaque progression on LCHF diets, despite weight loss and complete correction of the glucose-insulin axis. As for me, I am relatively happy with my current vegan diet (BP this afternoon was 106/73 at the pharmacy – far lower than it ever was on SAD). I realize my diet contains a lot of linoleic acid but I think the jury is still out on whether this is truly a culprit in atherogenesis, oncogenesis, etc. From what literature I have reviewed, there seems to be a very large amount of conflicting data on this issue. “Saturated fat, derived chiefly from animal products, raises the total serum cholesterol. Saturated fatty acids with carbon chain lengths of 14 (myristic) and 16 (palmitic), chiefly found in dairy products and red meats, appear most potent in increasing the serum cholesterol. Stearic acid (18 carbons), another component of beef and the chief fatty acid of cocoa butter, is relatively less cholesterolemic. There is a continuous, graded relationship between the total serum cholesterol concentration and coronary heart disease events and mortality (figure 1) [41,42]. However, a meta-analyses of 21 cohort studies found no associations between intake of saturated fat and fatal or non-fatal coronary heart disease . Cochrane Database Syst Rev. 2012 May 16;5:CD002137. doi: 10.1002/14651858.CD002137.pub3. Reduced or modified dietary fat for preventing cardiovascular disease. Hooper L, Summerbell CD, Thompson R, Sills D, Roberts FG, Moore HJ, Davey Smith G.
Norwich Medical School, University of East Anglia, Norwich, UK. l.hooper@uea.ac.uk. Reduction and modification of dietary fats have differing effects on cardiovascular risk factors (such as serum cholesterol), but their effects on important health outcomes are less clear. To assess the effect of reduction and/or modification of dietary fats on mortality, cardiovascular mortality, cardiovascular morbidity and individual outcomes including myocardial infarction, stroke and cancer diagnoses in randomised clinical trials of at least 6 months duration. For this review update, the Cochrane Central Register of Controlled Trials (CENTRAL), MEDLINE and EMBASE, were searched through to June 2010. References of Included studies and reviews were also checked. Trials fulfilled the following criteria: 1) randomised with appropriate control group, 2) intention to reduce or modify fat or cholesterol intake (excluding exclusively omega-3 fat interventions), 3) not multi factorial, 4) adult humans with or without cardiovascular disease, 5) intervention at least six months, 6) mortality or cardiovascular morbidity data available. Participant numbers experiencing health outcomes in each arm were extracted independently in duplicate and random effects meta-analyses, meta-regression, sub-grouping, sensitivity analyses and funnel plots were performed. This updated review suggested that reducing saturated fat by reducing and/or modifying dietary fat reduced the risk of cardiovascular events by 14% (RR 0.86, 95% CI 0.77 to 0.96, 24 comparisons, 65,508 participants of whom 7% had a cardiovascular event, I(2) 50%). Subgrouping suggested that this reduction in cardiovascular events was seen in studies of fat modification (not reduction – which related directly to the degree of effect on serum total and LDL cholesterol and triglycerides), of at least two years duration and in studies of men (not of women). There were no clear effects of dietary fat changes on total mortality (RR 0.98, 95% CI 0.93 to 1.04, 71,790 participants) or cardiovascular mortality (RR 0.94, 95% CI 0.85 to 1.04, 65,978 participants). This did not alter with sub-grouping or sensitivity analysis.Few studies compared reduced with modified fat diets, so direct comparison was not possible. The findings are suggestive of a small but potentially important reduction in cardiovascular risk on modification of dietary fat, but not reduction of total fat, in longer trials. Lifestyle advice to all those at risk of cardiovascular disease and to lower risk population groups, should continue to include permanent reduction of dietary saturated fat and partial replacement by unsaturates. The ideal type of unsaturated fat is unclear. “I get to follow patients with high-resolution carotid ultrasound. I have seen a lot of plaque progression on LCHF diets, despite weight loss and complete correction of the glucose-insulin axis.” That’s what you should publish or you should at least communicate with people like Eric Westman who have many patients. Any relevant facts are important. You could probably describe patients narratively without violating HIPAA or get permission. “I realize you don’t like meta-analyses.” I don’t like them if inappropriately used which is almost always. They don’t tell you any more — and frequently much less — than the original studies that they are based on. The bottom line on what you wrote is that not much is known about diet and CVD. What is known is that dietary SF does not correlate with risk of CVD. The fact that it does correlate with cholesterol in combination with the fact that cholesterol correlates with CVD means that people whose cholesterol is raised by diet are no more likely to have a heart attack than those whose cholesterol wasn’t. It also means that those people whose cholesterol predicts CVD, didn’t get high cholesterol from their diet. The bottom line is that everything is predicted on the idea that a low carb diet is somehow off the norm and needs to be studied as if it were a drug. This is not true. I don’t know what norm there is. Given that, the idea that you would not seek the major short-term benefits (especially for people with diabetes and metabolic syndrome) because of a conjectural long-term risk that hasn’t been demonstrated doesn’t make sense. After 40 years of the diet-heart hypothesis, the idea that it is still to be argued, as in your excellent summary above, says that there is limited basis for concern. There are a lot of people who are or have been on LCHF diets and there are a lot of vicious, hysterical MDs determined to find something wrong with the diet. If they haven’t been able to come up with anything, it’s reasonable to keep it as one of the tools subject, as in your case, to individual effects. IMHO. Richard, excellent points all. I am now counselling a low carb version of the Mediterranean Diet. One counterpoint to “carb burden is bad” is the Kitivan horticulturalists. As a well-described ethnoracial group (whatever that means), they consume a diet that is 79% carbohydrate-based. Yet in documented screening studies from the 1980’s and 1990’s, they were found to have very little evidence of stroke, heart disease or diabetes, even in their elders. Thus it cannot all be about carbs. Granted they probably eat more complex carbohydrates in the form of fruits and vegetables than Westerners do, and virtually no processed food. Glycemic index is probably the key here. I imagine their very low cholesterol levels are from a lack of meat/eggs/butter/fish intake – saturated fat and dietary cholesterol, which you’ve argued is irrelevant. Could not the two factors – low glycemic index and low cholesterols – somehow connect to promote good health and longevity in these people? Could also be sun exposure and daily physical activity, lack of exposure to light at night, lack of industrial pollution, low diurnal stress, etc. We just don’t know. Wait a minute. You are not suggesting that we are all the same and that of the hundreds of amino acids in the thousands of proteins that we have have all mutated similarly? Are you suggesting that one metabolic pattern fits all? And, isn’t Kitava an island? For example, the Kitavan Islanders of Melanesia live as horticulturists with levels of activity comparable to manual workers who take moderate exercise; their dietary staples are root vegetables and fruit, with some consumption of meat and fish, but with little availability of Western foods. Hence as a population they consume virtually no grains or refined foods such as flour, sugar, or refined oils.3,4 Their carbohydrate intake is high, in the order of 60%–70% of energy intake, much of it root tubers or fruit with a moderately high glycemic index,5 while their saturated fat intake is also high (17% – largely from coconut). Despite food abundance and a clear overlap of macronutrients and glycemic index with Western diets, Kitavans are reported to possess leptin levels, fasting insulin, and blood glucose levels dramatically lower than those in Western populations deemed healthy,6,7 and appear to have a virtual absence of overweight, diabetes, and atherosclerotic disease.3,4,8,9 Environmental or genetic explanations for this metabolic health appear unlikely, since islanders who leave for the mainland and eat Western foods become overweight.7 People of this region may in fact be more susceptible to the effects of Western diet than Europeans, which may include increased susceptibility to effects subsequent to leptin resistance.10,11 Similar leanness and low leptin concentrations have also been recorded in the Ache hunter-gatherers of Paraguay, and in Shuar people of the Amazon who retain a traditional lifestyle.12–14 Those Shuar who have taken the initial steps toward agriculture have significant increases in leptin levels.15 Although leptin levels have not been recorded for other people eating traditional diets, it has been widely reported that unless grains or refined foods had arrived, all bore remarkably low incidences of “Western diseases,” including obesity (Table 1).3,4,6–9,16–29 Also notable is the apparent macronutrient-independence of the health associated with ancestral diets. The Kitavan case appears to argue against a primary causal role for carbohydrates or glycemic index in the genesis of obesity, at least when carbohydrates are in the form of root vegetables or fruit. Their diet is higher in carbohydrates than the estimated intake for our East African ancestors30 or modern hunter-gatherers,31,32 who tend to have carbohydrates provide around 35% of energy, ranging from 3% to 50% of energy intake, the proportion falling with northern latitude. Similarly, other analyses of modern hunter-gatherers33 have suggested that intake of unprocessed meat does not produce poor metabolic or cardiovascular health, in agreement with the reported historical diets and health of the Masai, Kavirondo, and Turkhana (Table 1). Moreover, even small amounts of Western influence in diet are associated with significant adverse alterations in metabolic and physiological markers, often before any substantial lifestyle changes.15,26 The relationship between health and ancestral or Western diets is reviewed in detail by Lindeberg.37 The effects of Western diet and lifestyle do appear to be reversible, at least in part. The metabolic health of diabetic Australian Aborigines has been shown to be markedly improved by even a 7-week return to a hunter-gatherer lifestyle and diet.38 In addition, Westerners have also been shown to benefit from similar dietary changes. This is an excellent article, and I urge you to read it in full before prejudging it based on the abstract alone. It’s a bit of a tough slog, but I think it’s worth it. “The Kitavan case appears to argue against a primary causal role for carbohydrates or glycemic index in the genesis of obesity, at least when carbohydrates are in the form of root vegetables or fruit.” No it doesn’t. The guy is selling something. I have a dozen tough slogs. Why would I want to read this? Because if we only read articles that conform to our beliefs, we are at risk of hardening such beliefs. Because the supposition of a role for the gastrointestinal microbiome in the genesis of obesity and metabolic syndrome is novel (or at least, was news to me). Because a diverge range of opinions is better than all singing from the same prayer book, so long as those opinions are backed up by facts (this article is well-referenced and I could not find much in it to dispute). Because it is good to see where the opposition gets their facts from, what they believe, and why they believe it. A quote I recently came across: “[A] talent for speaking differently, rather than for arguing well, is the chief instrument of cultural change.” (Richard Rorty. Contingency, Irony and Solidarity. (Cambridge University Press, 1989), page 7). Easy for you to say. You were never the editor of a nutrition journal. And, of course, the idea that carbohydrates don’t make you fat is a relatively new idea but it certainly is common enough. I always have been kind of a straight arrow. Last summer’s discussion, How to Reduce Fructose Consumption, was wonderfully fruitful, to coin a phrase. Your comments on the value of replacing carbohydrates [fructose] with fat was good advice, in my opinion and I am following it. I offered a link there to a lecture on choosing the best fat, namely, one that is compatible with the human terrain. The term “fat” has wide use and is non-specific, like the word “carbohydrate” and casual usage could easily mislead the layman. I am aware that to make bacon the poster fat is more a dramatic literary device than a dietary recommendation, but bacon is a favorite fat resource of mine anyway. Warburg’s brightest student, Budwig, promoted the use of fermented dairy (quark) and unprocessed vegetable oils as healthy fats. Any problem there? If one has no scruples against animal fats, then adding them to a vegan-type diet would most likely be a benefit because vegetables contain a wealth of enzymes, minerals and vitamins, not to forget fibre, and the animal fats would provide the fat-soluble vitamins and staying power. A compromise would be a lacto-vegan or a lacto-ovo-vegan diet and, if such options were widely available without a social stigma, I think many would follow such a routine. I am trying to imagine what kind of a food cart that would be. The yen for carbohydrates that leads to weight gain and subsequent therapeutic, restrictive diets could be avoided if eating habits did not cause morbid obesity in the first place. Why do we crave carbohydrates so? Bernard’s observations would suggest that we are attempting to achieve an ‘optimal state’ [not his term]. If the result is excessive adipose accumulation and advanced glycation endproducts, something has gone totally haywire, surely. Researchers [Ref] have found that a ubiqutous, defective gene is almost certainly responsible for hyperglycemia, could be the cause of both an oversupply of glucose in sera and suborning a craving for carbohydrates. Bummer! On the bright side, recent studies hold out hope for beleaguered low-carbohydrate dieters, if mouse experiments are sufficiently applicable to human physiology. In other, closely related studies, Maeda was surprised to discover that her GM mice quickly developed a condition not unlike human atherosclerosis when the same gene was knocked out. Wild mice don’t exhibit these symptoms. Here is my question: is dietary restriction normal? Are we Homo sapiens doomed to exist in a state of semi-starvation à la Walford to keep our health or can science and medicine produce a practical solution? esp lipids and insulin sensitivity . Maybe we do not need this much PUFA to see these improvements , But maybe at least some and maybe more than many who go very low carb end up having. Dan , why not more olive oil ? and some ALA instead of all the LA ? “Ketogenic diets (KDs) are used for treatment of refractory epilepsy and metabolic disorders.” They forgot to add that they have also been vilified by the medical profession and, as in our report, the most important work is frequently ignored by physicians who rely on drugs. Figure 1 shows huge variation but the primary observation may be important. Better experiment done by Forsythe, et al. : Limited effect of dietary saturated fat on plasma saturated fat in the context of a low carbohydrate diet. Lipids 2010, 45(10):947-962. Well, peer review, conformity and groupthink are all synonyms, aren’t they? Depends on the group and on the peers but you’re not saying that this is a radical idea that macronutrients don’t count, that anabolic effeccts of insulin don’t count, that you will do best with those healthy carbs and that any false logic is okay as long as it knocks low carb. Do you think this is novel? And you don’t have to go to Kitava. Walter Willett is certainly thin enough but if I ate the crap he eats, I would not be happy. The point Spreadbury was making is that despite dramatically varying macronutrient ratios (protein:CHO:fat), hunter-gatherer cultures do not see the burden of diabetes, metabolic syndrome, cardiovascular disease (and I would add dementia and cancer) that we see in western, civilized, industrialized, developed countries (and rapidly developing nations in “epidemiological transition”). The point he is making is that it can’t just be the macronutrient distribution in the diet, and probably quality of those macronutrients is just as important. I have a hard time arguing with that, based on his analysis of diets across all these traditional cultures (it’s in one of the tables of his paper). Then again, ecological analyses are prone to ecological fallacy and other biases. Well, fine. But, of course, he has a mission. He wants to tell me that theory we work on — which don’t even say applies to Kitavans — is wrong and he is so sure of that that he doesn’t need to make a clear justification in his Abstract. But, hell, nobody’s perfect. Richard, I saw your comment at theheart.org (http://www.theheart.org/discussion/thread/view.do?threadID=24841). I wrote a follow-up affirming it. Call me naive, but I don’t understand why more endocrinologists/diabetologists ‘prescribe’ carbohydrate restriction. The possibilities, I suppose, are ignorance; fear; laziness; lack of time; vested interests in competing theories; malignant greed. I need to talk to my colleagues in endocrinology/diabetology; even the pediatric ones don’t seem to like carb restriction. Can you shed some light on the thinking here, in light of your experience in sending in grant proposals to study CHO restriction? Answer tomorrow (and rest of my life). Today is daughter’s 9th birthday. I would also say that when in doubt, look to evolution. She has been doing experiments for millions of years and so evolution is smarter than all of us put together. Controlled studies only look at a few variables and only can answer narrow questions. Don’t forget about empirical science and common sense. I am not sure what distinctions you are making but some common sense would help. It is well to remember that ‘common sense’ means, ‘no experts’. You are on fire! Apparently you have taken the pulse of your readership and correctly diagnosed the hotly burning issue! If I may add to my previous posting, I vetted this mod with one of your colleagues and he evinced no objection, so here it is: A priori Premises Observations Opinions Experiments Analysis Conclusions Examination Reflection Corrections Certainty (mostly) Acceptance/Refutation/Ridicule Response Recapitulation Reality Resignation Retirement. — DrP. I would suggest that everyone read Ockham’s Thesis before citing it. I finally did. Prof. Feinman ~ Have you heard of Dr. McDougal, a Calif. Internist? He apparently is “out there” trying to sell his “Starch Program” for diabetics. Your thoughts about this would be helpful – thanks. “Both forms of diabetes, childhood and adult, are rare in parts of the world where people’s meals are based on starches” I thought diabetes was high in India which has high starch diet, no? Also, strange to see a doctor telling people not to take meds. But, isn’t this the guy who was on Jimmy Moore’s podcast and is extremely rude. There are certainly are people who do ok on low calorie, high starch but, as a general principle it is hard to see how what he says makes any sense at all…and when I get it all worked out, I am going to be very polite. My thoughts.